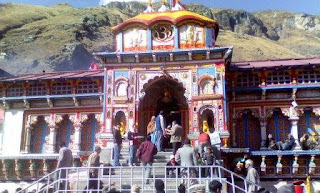 Shri Badrinath Dham Temple Opening Date 2019 Details:- The Badrinath Dham Temple is one of the four Dham's of India as well Uttarakhand. Other three Dham's the sacred places in Uttarakhand are Gangotri, Yamnotri & Kedarnath Dham. The temples open during summers and closed during winter because of heavy snow falls in hills of Uttarakhand. The Badrinath Dham Temple located in Chamoli Garhwal District about 326 Km from Haridwar and 296 Km from Rishikesh the nearest railway station. The nearest airport from Badrinath is Jolly Grant Airport Dehradun and Badrinath Dham is well connected with road transports.